Absolute Destruction’s employees wearing their corporate t-shirts and caps, helped pass out thank you cards for the generous donations of food to help those in need. 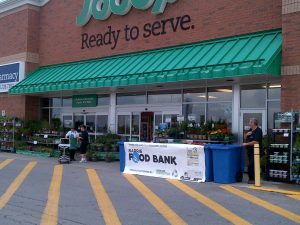 The event was held in front of the Sobeys store on Mapleview Drive in Barrie. 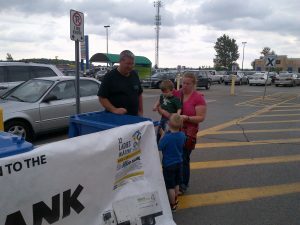 Absolute Destruction & Recycling Corp took donations and filled the portable bins in front of the store. 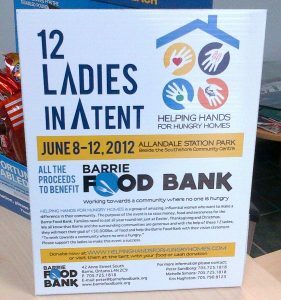 The bins were then loaded onto its truck and transported to the Barrie Food Bank Depot in Barrie. 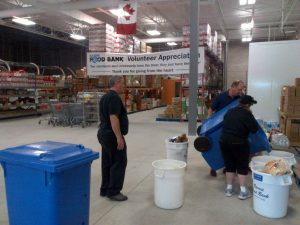 Absolute Destruction & Recycling Corp helps guard your identity by shredding unwanted documents and is a proud supporter of the communities we serve. 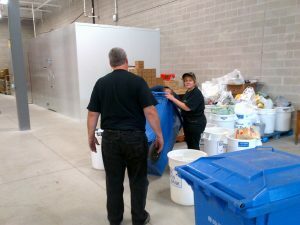 Guarding you identity and protecting those from hunger is part of the culture Absolute Destruction & Recycling Corp portrays as a good corporate citizen and pride in what we do.